Boat Description Take a ride on the wild side with this 200 Sport, shown here with optional gel-coat graphics. 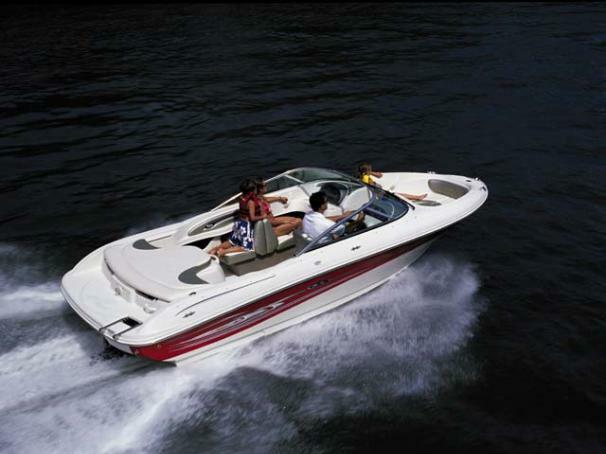 Powered by a 4.3L 190 hp Alpha I MerCruiser stern drive engine, this sleek, sporty boat is packed with fun. Standard features include AM/FM/CD player with weatherproof speakers, ski/wakeboard storage, lockable glove box and lots of beverage holders.